We live in the era of technology when owning multiple gadgets like smartphones, tablets and laptops do not mean that we are tech savvy, it simply explains our normalcy. In this decade, significant changes in the technologies have been observed in household equipments, personal laptops, smartphones, televisions and more, with the objective to benefit our lives. Behind such great innovations are the Information Technology (IT) companies who insistently making improvements to offer the world with better tools, gadgets and technologies. It is no denying that technology plays a huge role in shaping the world across various industries, including manufacturing, healthcare, finance and etc, with its variety of hardware and software products. Businesses are experiencing technology disruption, where the inclusion of IT solutions in operation is not the matter of luxury anymore but has become a necessity. Those who choose to ignore the disruption could dissipate from the business world entirely, again stressing the importance of technology in this world we live in today. Meanwhile, the IT industry itself is already in the progress of exploring virtual reality, advanced analytics, artificial intelligence and internet of things along with the growth of 4.1 percent ($3.4 trillion) in year 2017 (CompTIA, 2017). Every IT company has its own team of IT experts, software programmers and engineers, and this new employee’s productivity is not bound by conventional time frame, 9-5 work time anymore. Now, no matter when or where, a coder can still complete his/her task conveniently through the Internet. They (coders) work throughout the night and most of them are nocturnal, producing their best work at night. While theoretically homeworking works, employers are still quite skeptical about letting their employees work away from the office since it is fairly difficult to tell how much time is being put into a task. Maich, Levine and Hall (2016) pointed out that in this age of digital era, working at home raises a new way to monitor punctuality at work. 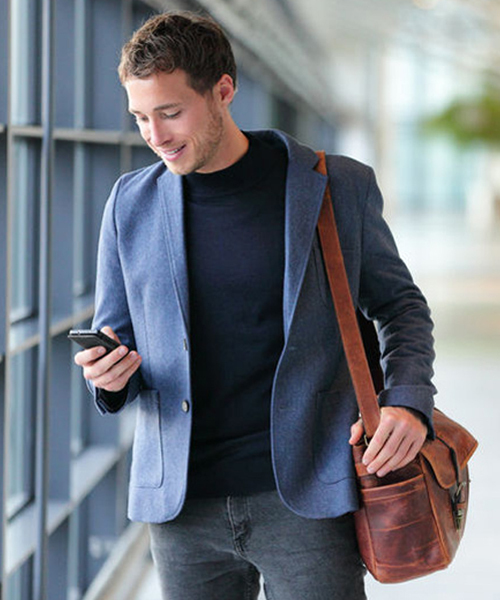 Although working at home does provide convenience of not needing to style up your appearance, traveling to office and getting caught in a jam, an employee could also be in a cinema during his “work hours”. This article is going to explore the pros and cons of homeworking, how TimeTec TA solution can address concerns of both parties (employer and employee), methods to monitor homeworking attendance, the money and time needed to adapt the solution and the convenience of IT experts in adapting our cloud solution. The problem with homeworking is that, unless specifically demanded for it, or else employees may think that punctuality does not really matter as long they get their tasks done (Guerin and Delpo, 2017). However that is not the case, if you are not here at expected time or day, someone else might need to complete your task for you or put their task on hold while waiting for you. This is especially frustrating if a customer or a client could not reach you during normal working hours. In addition, it is also difficult to get any tasks completed on schedule if every employee has different approach towards working hours. It is important for the company to get their team together particularly when teamwork is one of the key qualities of success. Therefore, companies need to have a clear policy regarding time attendance as it is an important factor to discipline its employees and accomplish the company’s goals at the same time. who are on leave for the day, what’s their record of short hours, tardiness report, total working hours to calculate payroll, overtime calculation and more. Moreover, employees might also take advantage of not having direct supervision, which could cause delay in their work submission due to other distractions. But of course, revoking the option of homeworking is not a justified decision because homeworking does have its advantages such as convenience, time-saving and the freedom for employees to be more creative and productive in their own conducive environment of choice. At this juncture, homeworking seems to be treating employer unfairly, but that option is necessary in dealing with the new generation of workforce i.e the Millenials and in a few years, Gen-z. Worry not, TimeTec TA might just be the perfect solution for you. and successful as it looks even if given sufficient time and money. Harris and Hartman (2001) stated that sometimes one of the biggest challenges in accepting new technology is the acceptance of employees. Lucky to say, employees in the IT companies are no stranger towards technology trend, hence, employees don’t even need any preparation to cope with these changes. What’s more? Imagine the time and money that are excused from training up employees in adapting new technology. It would be a rare case for employees not to own any smartphone while working for the IT industry and would be impossible for an IT employees to not know how to use or operate a smartphone. Besides, TimeTec TA solution is primarily made to be user friendly whether it is for admin or user, and that’s why using the Web Portal or Mobile Application from TimeTec TA could come effortlessly especially for any employees in the IT industry. One of TimeTec TA greatest features is its comprehensive functions that can be customised to meet every individual industry’s requirement or company type, ranging from small and medium enterprises to large corporations. This include homeworking monitoring through TimeTec TA GPS check-in function and homeworking attendance management through the Internet. First, the company needs to enable the GPS clocking option before the employees are able to use GPS for attendance clocking. 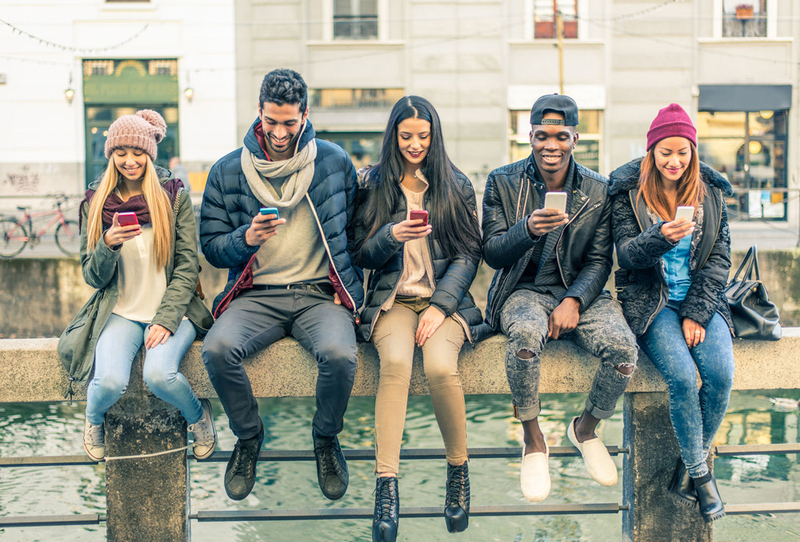 Once the employees had clocked-in using their smartphones, their real-time locations will be captured into the system immediately for their managers or supervisors to monitor. Supervisors and employers can then ease their worry in terms of knowing their employees’ current whereabouts. 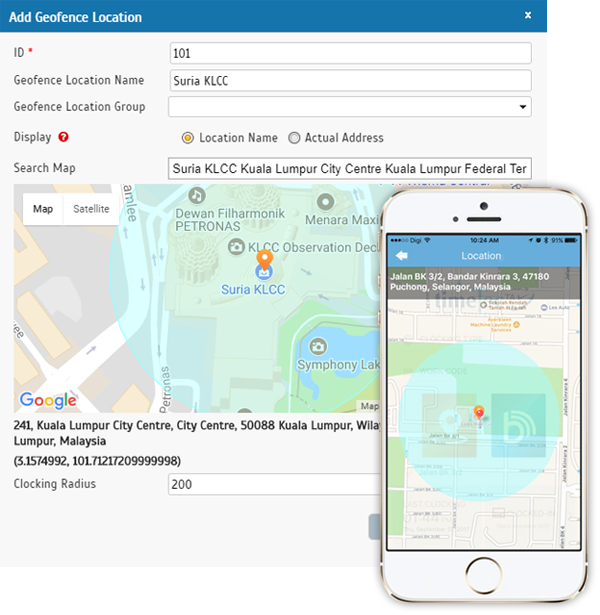 If necessary, admin can also set TimeTec TA’s Geofence feature for their employees. Geofence can limit the radius of the employees check-in location to the assigned site when such move is required. For those employers that want to make sure that their employees have reached the destination before clocking in, can set like a 50 or 100 meter radius to the Geofence feature. However, employees can still request to check-in at any locations outside of the Geofence but would require an approval from their supervisor/manager. Employees also can easily view their own attendance through TimeTec TA Mobile App or Web portal. Any employees with flexible working hours can also monitor their performance through their report that clearly indicates their total working hours and short hours. Thus, employees don’t even need to come into the office or go through any process in order to retrieve their own attendance data for self-monitoring purposes. How Could TimeTec TA Ease Your Concerns? You may think that most IT companies are involved in project-based assignments and therefore attendance would not be crucial for employees so long as they get their job done in time. Nevertheless, pipeline of progression and development is the very key indicator for majority of IT projects out there. In order to plan a proper due date and schedule, managers have to take into consideration the total hours to be spent for one project, and without a proper time and attendance system, those deadlines can be very challenging to plan. To further address this issue, more often than not, a project-based work may involve a team of people, and if everyone has different working hours, then teamwork can be very difficult to achieve without clear communication and constant absence during regular working hours. While homeworking provides convenience, that does not mean everyone should work alone. A synchronized working schedule between a team can enhance the availability of each other during working hours since they are not in the office. With TimeTec TA, working schedule can be easily assigned for any employee (or to a particular team or department), meaning that it is possible to customise multiple work schedules to cater towards different teams of people or everyone in the company. For example, you can have a normal schedule (9am -6pm) for all office employees but at the same time you could also maintain a second schedule (10pm-7pm) for the homeworking employees. You can add more schedules as you see fit to serve your business’s requirement. 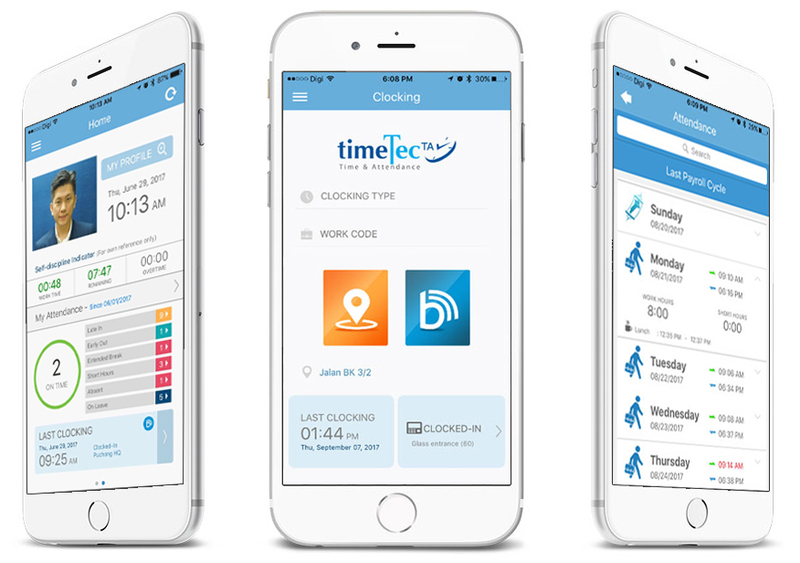 To further ease the concern of employer or managers, TimeTec TA also comes with various clocking options through their smartphones on top of the GPS such as beacon and NFC, a simple small device that can be set for employee’s home and installed at their homes cheaply and comfortably without taking any space at all. Adapting a new system usually takes up huge cost and a lot of time especially when it involves hardware and Windows Operating System. 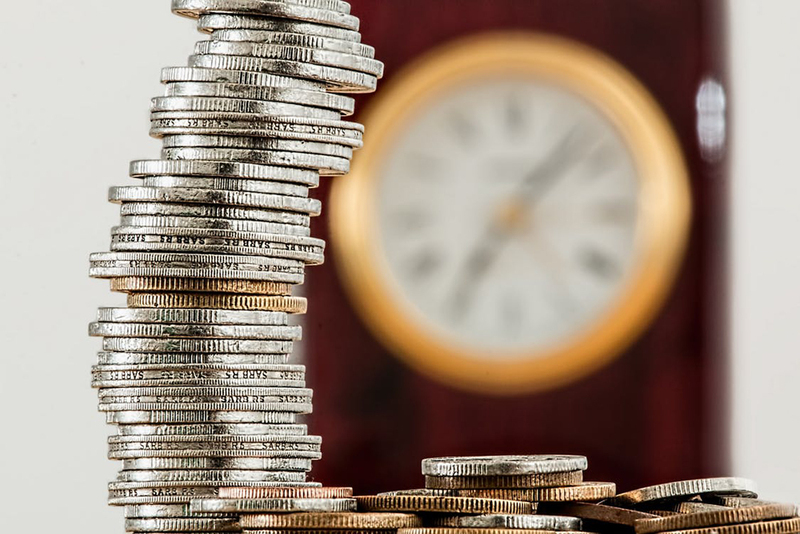 As for TimeTec TA, both concerns can be easily addressed because TimeTec TA is an affordable and scalable cloud based solution. You don’t need to install any hardware, as you can adapt BYOD (Bring Your Own Device) for homeworking employees. Employees can access to TimeTec TA app through their own smartphone, saving the costs that are required to install any form of hardware. Although a certain degree of training may still be required to adapt our TimeTec TA solution, TimeTec team will be available to offer round the clock support in case of you need our assistance. Apart from that, any software updates from us is absolutely free and through cloud, which do not need any manual work from your employees because any bug fixes or updates will be handled by TimeTec. The price of TimeTec TA is minimal compared to the advantages it brings and it’s scalable for your company’s benefit. And therefore, employees can focus on their own work without having to waste any time for system issue. On top, the system is cloud-based that requires no time, effort and maintenance for a system because you don’t need physical server planted in your compound. Along with the reassurance from Amazon AWS cloud server, it is safe to say that system downtime is highly unlikely, providing you with confidence that your data is available and safe at all times. Homeworking is a new concept of managing workforce that employers need to seriously consider moving forward. And TimeTec TA is a perfect system that can give employers that peace of mind knowing that employees are not abusing the leniency provided, instead striving towards achieving company’s goals and objectives. Explore TimeTec TA for more free, creative and productive IT workforce. Get TimeTec TA trial at https://www.timetecta.com/free_trial and contact info@timeteccloud.com for consultation. Guerin,L. & Delpo, A. 2017. “Create Your Own Employee Handbook: A Legal & Practical Guide for Employers”. Nolo Press. P215. Harris, O.J. & Hartman, S.J. 2001. “Organizational Behavior”. Psychology Press Ltd. P437. Maich, K. Levine, D. & Hall, C. 2016. “Applied Behavior Analysis: Fifty Case Studies in Home, School, and Community Settings”. Springer International Publishing. P143. Oz, E. 2008. “Management Information Systems”. Cengage Learning, Inc. P191. Wright, C.A.H. 2000. “Issues in Education and Technology: Policy Guidelines and Strategies”. Commonwealth Secretariat. P148.